PS4 / RUS * Assassin`s Creed ХРОНИКИ * АКТИВАЦИЯ * ГАРАНТИЯ 478 399 руб. PS4 / RUS * Assassins Creed: СИНДИКАТ * ГАРАНТИЯ * АКТИВАЦИЯ 718 599 руб. Assassin Creed Odyssey EU PS4 720 600 руб. 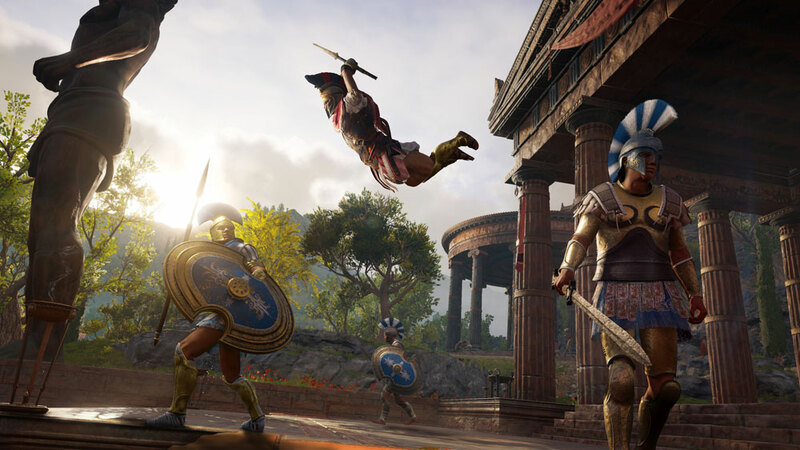 Assassin Creed Odyssey USA PS4 720 600 руб. Just Cause 4+Witcher 3+Assassin Creed Rogue+Game USA PS4 960 800 руб. PS4 Assassin Creed Odyssey+Origins+Rocket League EU/RU 960 800 руб. PS4 Anthem+Assassin Creed Odyssey+Borderlands+Game USA 960 800 руб. Red Dead Redemption 2+Origins+Battlefront II+Games USA PS4 1200 1000 руб. FIFA 19+A Way Out+Let Sing 2018+AC Origins EU/RU PS4 1200 1000 руб. Assassin Creed Odyssey+God of War Deluxe EU/RU PS4 1200 1000 руб. FIFA 19 Ultimate Edition+Assassin Creed Odyssey EU PS4 1200 1000 руб. 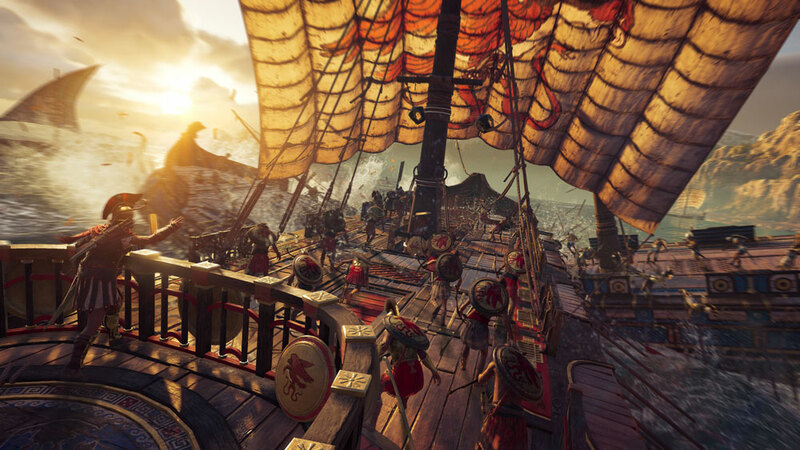 П1 - Assassin's Creed IV Black Flag (PS4/RU) Оффлайн199 руб. Assassin’s Creed Origins PS4 USA250 руб. Assassin’s Creed Syndicate PS4 USA250 руб. PS4 Assassin’s Creed Origins (USA)250 руб. Assassin's Creed IV Black Flag PS4 EUR250 руб. PS4 Assassin’s Creed Origins (EUR)250 руб. Assassin's Creed IV Black Flag PS4 EUR/RUS250 руб. Assassin’s Creed Unity PS4 ENG250 руб. Assassin's Creed Syndicate PS4 EUR250 руб. Assassin's Creed Origins PS4 EUR250 руб. Assassin’s Creed Syndicate(EU) PS4250 руб. Assassin's Creed Origins PS4 ENG250 руб. Assassin’s Creed Origins PS4 EUR250 руб. Batman: Arkham Knight + Assassin's Creed Syndicate PS4 USA350 руб. inFAMOUS Second + Assassin's Creed Chronicles Trilogy PS4 EN350 руб. Assassin's Creed® IV Black Flag+FIFA 17 Super Deluxe PS4 EUR350 руб. Assassin’s Creed The Ezio Collection PS4 USA350 руб. Assassin's Creed Syndicate + Just Cause 3 PS4 ENG350 руб. Call of Duty: Infinite Warfare+ Assassin’s Creed IV PS4 USA350 руб. Assassin’s Creed The Ezio Collection PS4 EUR350 руб. The Witcher 3: Wild Hunt+ Assassin’s Creed The Ezio PS4 USA350 руб. The Last of Us + Assassin's Creed Syndicate PS4 EUR350 руб. Assassin's Creed Pack: Black Flag+ Unity+ Syndicate PS4 ENG350 руб. Fallout 4 + Assassin's Creed Syndicate PS4 EUR350 руб. Persona 5 + Assassin's Creed® Unity PS4 ENG350 руб. Assassins Creed Origins GOLD+The Witcher 3: Wild Hunt PS4 EU350 руб. Assassin's Creed Rogue Remastered PS4 EU/RUS350 руб. Assassin's Creed Origins + Black Flag PS4 RUS/ENG350 руб. Tony Hawk's Pro Skater 5 + AC Origins PS4 USA350 руб. UNCHARTED: The Lost Legacy + Assassin Origins PS4 USA350 руб. The Witcher 3: Wild Hunt + Assassin’s Creed Syndicate PS4 US359 руб. Assassin's Creed Rogue Remastered PS4 USA399 руб. Battlefield 1 Revolution+Assassin's Creed Chronicles PS4 USA399 руб. Need for Speed Payback +Assassin's Creed Origins PS4 EUR/RUS399 руб. Assassin’s Creed Origins + Batman: Arkham Knight PS4 USA449 руб. Assassin's Creed Triple Pack (PS4) EU450 руб. Assassin's Creed The Ezio + Black Flag + Rogue PS4 ENG450 руб. Assassin's Creed® Unity+7 Days to Die+2GAMES PS4 EUR450 руб. ARK: Survival Evolved+ Assassin's Syndicate+ COD WWII PS4 EU450 руб. NieR: Automata™ + The Sims™ 4 + Assassin's Creed® OrPS4 EUR450 руб. Assassin’s Creed Syndicate+ Origins+ Battlefront II PS4 USA450 руб. Don't Starve: Giant Edition + 2GAMES PS4 ENG450 руб. Dishonored Definitive Edition +AC Unity+AC Syndicate PS4 EUR450 руб. The Witcher 3+ Uncharted Collection+ Assassin Ezio PS4 EUR450 руб. DARK SOULS™ III + Dragon Age™: Inquisition + Games PS4 ENG450 руб. The Last Guardian+ Assassin's Syndicate+ Order: 1886 PS4 EUR450 руб. Need for Speed Payback+ Assassin Origins+ Crash PS4 EUR450 руб. Assassin's Creed : Black Flag, Unity, Syndicate PS4 EUR450 руб. П3 - Assassin’s Creed Chronicles Трилогия (PS4/RU) Активация499 руб. П3 - Assassins Creed 4 Black Flag (PS4/RU) Активация499 руб. Assassin's Creed Triple: Black Flag,Unity, Syndicate PS4 EUR499 руб. Monster Hunter + Battlefield 1 + Unity PS4 RUS/ENG499 руб. Lost Legacy+AC Ezio Collection+FF XV+TLOU (PS4) EU|RU500 руб. UNCHARTED 4+Lost Legacy+RiseTombRaider (PS4) EURO500 руб. Deus Ex + Overwatch + Unity + Dragon Age - GotYE PS4 RUS/ENG500 руб. Outlast 2 + Battlefront II + WWII + Ezio Collection PS4 ENG500 руб. Black Ops III+ The Witcher 3+ Styx+ Uncharted+ Games PS4 EUR500 руб. Assassin's Creed Syndicate+ Uncharted+ Unravel Two PS4 EUR500 руб. Assassin's Origins+Unity+ Black Flag+ Battlefront II PS4 EUR500 руб. DARK SOULS III + Origins + Deus Ex + South Park PS4 RUS/ENG500 руб. Batman: Return to Arkham + Crash Bandicoot + 2GAMES PS4 USA500 руб. BATMAN: ARKHAM KNIGHT+NFS Payback(RU)PS4500 руб. Assassin's Creed III Remastered(RU)PS4500 руб. Assassin's Creed Triple Pack + 3 GAMES |EUR| PS4501 руб. Assassin’s Creed® The Ezio + 6 GAMES PS4 EUR503 руб. Assassin's Creed 4 Black Flag + Ride 2 + Plus 12 PS4 RUS/ENG550 руб. Assassin's Creed III: Remastered PS4 USA550 руб. Assassin’s Creed The Ezio+ Chronicles+ Rogue + Games PS4 USA550 руб. Assassin's Creed III - Gold Edition PS4 RUS550 руб. П3 - Assassin's Creed Синдикат (PS4/RU) Активация599 руб. Assassin's Creed Origins+DLC+Battlefront II (USA) PS4599 руб. Assassin’s Creed IV Black Flag Gold Edition +6GAMES PS4 USA599 руб. The Witcher 3 + WWII + F1 2016 + Black Flag PS4 RUS/ENG599 руб. Assassin's Creed Odyssey PS4 EU + ПРОМО-КОД!600 руб. Assassin's Creed Odyssey (PS4) EURO600 руб. Assassin's Creed Odyssey (PS4) USA600 руб. Assassin's Creed® Odyssey PS4 ENG600 руб. Assassin's Creed Odyssey Ultimate Edition PS4 ENG600 руб. Assassin's Creed Odyssey PS4 USA600 руб. Assassin's Creed Odyssey (PS4) ENG | Английский язык600 руб. Assassin's Creed® Odyssey PS4 EUR600 руб. Assassin's Creed Odyssey PS4 EUR600 руб. Assassin's Creed Odyssey PS4 ENG !600 руб. Assassin's Creed Odyssey - DELUXE EDITION PS4 EUR600 руб. 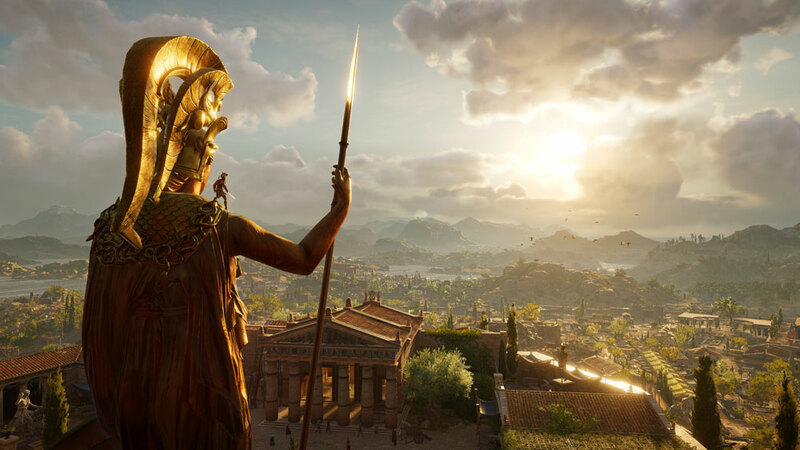 Assassin's Creed Odyssey PS4 ENG600 руб. Assassin's Creed Истоки (PS4/RUS) Гарантия650 руб. Assassin’s Creed® Синдикат PS4/EUR Россия650 руб. Nathan Drake Collection + NieR + Black Flag + Plus PS4 ENG699 руб. Spyro Reignited Trilogy+ Assassin’s Creed Origins PS4 USA700 руб. PS4 Assassin's Creed Odyssey (ENG)700 руб. Spyro + Crash Remastered + AC Rogue Remastered PS4 USA700 руб. Assassin's Creed® Odyssey - DELUXE EDITION PS4 EUR700 руб. Battlefield™ V + Syndicate PS4 USA700 руб. Assassin's Creed Изгой. Обновленная версия [PS4\RUS]749 руб. П3 - Assassin's Creed Истоки (PS4/RU) Активация799 руб. Assassin's Creed Odyssey+Triple Pack (PS4) USA800 руб. Assassin's Creed Odyssey+NFL 18 (PS4) USA800 руб. Assassin's Creed Odyssey+Conan Exiles+Overwatch (PS4) USA800 руб. Spyro Reignited Trilogy+Assassin's Creed Odyssey (PS4) USA800 руб. Assassin's Creed Odyssey+NFS+PAYDAY 2+BF4 (PS4) EU|RU800 руб. Battlefield V Deluxe Edition+Assassin's Creed Odyssey PS4 US800 руб. Assassin's Creed Odyssey + Rogue Remastered PS4 EUR800 руб. Assassin's Creed Odyssey+ Call of Duty: WWII - Gold PS4 USA800 руб. Assassin's Creed Odyssey + The Ezio Collection PS4 EUR800 руб. Black Ops 4+ Assassin Odyssey+ Persona 5+ COD: WWII PS4 USA800 руб. Assassin's Creed Odyssey+Chronicles+Syndicate+ Games PS4 USA800 руб. Assassin's Creed Odyssey+Call of Duty: Black Ops 4(PS4)USA800 руб. Assassin's Creed Odyssey + DRAGON QUEST XI PS4 EUR800 руб. Call of Duty®: Black Ops 4 + 3 GAMES |USA| PS4800 руб. Call of Duty: Black Ops 4 + Origins + Black Flag PS4 USA800 руб. Assassin's Creed Odyssey+God of War+NFS 2015 (PS4) USA800 руб. Assassin's Creed Odyssey + Gran Turismo Sport PS4 EUR800 руб. Assassin's Creed Odyssey+ FAR CRY 5+ Bloodborne PS4 USA800 руб. Assassin's Creed Odyssey+ FAR CRY 5+ XCOM 2 PS4 USA800 руб. Call of Duty: Black Ops 4 Deluxe + Odyssey + 2GAMES PS4 USA800 руб. Assassin's Creed Odyssey - DELUXE + Fallout 76 PS4 EUR800 руб. FAR CRY 5+ Assassin’s Creed Origins+ DARK SOULS II PS4 USA800 руб. Call of Duty: Black Ops 4 - Digital Deluxe+5GAMES PS4 EUR/RU800 руб. Far Cry 5 + Assassin's Creed Origins PS4 EUR800 руб. Assassin's Creed Odyssey + 3GAMES PS4 EUR/RUS800 руб. Assassin's Creed Odyssey + Far Cry 5 PS4 EUR800 руб. Assassin's Creed Odyssey + Black Ops 4 + 3GAMES PS4 EUR/RUS800 руб. Far Cry®5+Assassin's Creed® IV Black Fl+ GAMES (EUR/RUS) PS4800 руб. PS4 Assassin's Creed Odyssey EUR850 руб. PS4 Assassin's Creed® Odyssey USA850 руб. Assassin's Creed Odyssey (EUR) PS4850 руб. Assassin's Creed Odyssey EU|PS4850 руб. Need for Speed Rivals + Far Cry 4 + 3GAMES PS4 EUR/RUS899 руб. Assassin's Creed Odyssey+Persona 5+Bloodborne+4GAMES PS4 EUR900 руб. Warhammer + A.O.T. 2 + Spyro +Fallout 76 + Odyssey PS4 EU900 руб. God of War (2018)+ TEKKEN 7+ Crash+ Assassin Origins PS4 ENG900 руб. God of War + Black Ops III + Origins PS4 USA900 руб. Assassin's Creed® Истоки ORIGINS полност на RUS ps4 гаранти990 руб. UNCHARTED 4 + 3 + 2 + 1 + AC Ezio + AC Black Flag PS4 EUR/RU999 руб. Assassin's Creed Истоки + Ведьмак 3 GOTY +DS III PS4 RUS999 руб. God of War + Odyssey + Far Cry 5 +Black Ops 4+4GAMES PS4 USA999 руб. 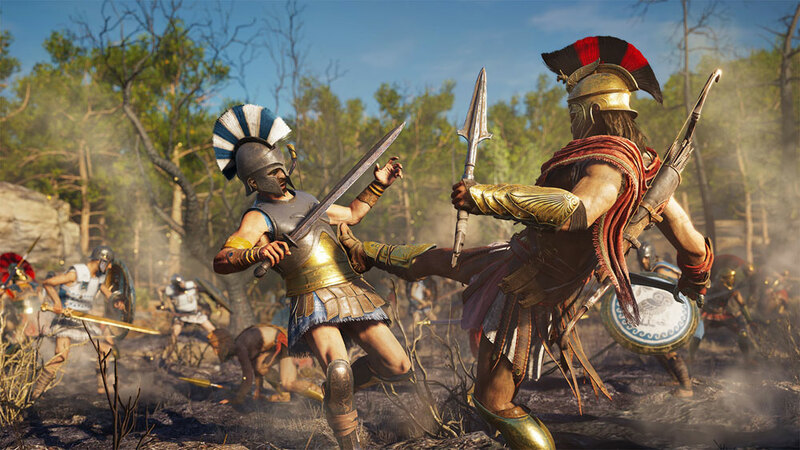 Assassin's Creed Odyssey + FIFA 19 PS4 EUR1000 руб. 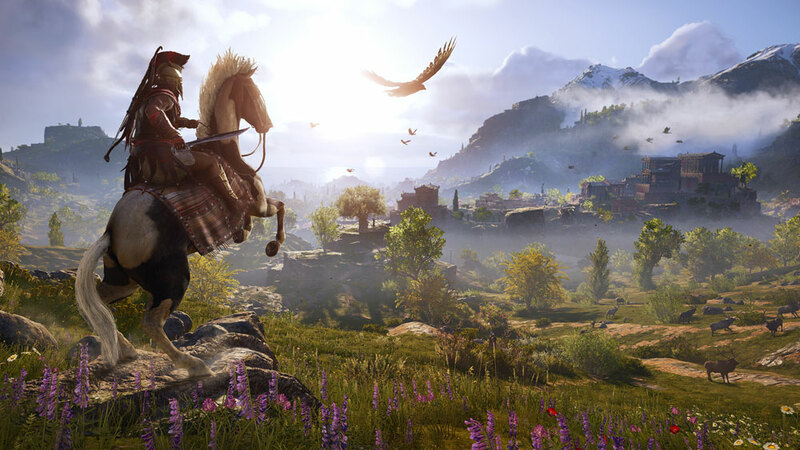 Assassin's Creed® Odyssey - DELUXE + FIFA 19 PS4 EUR1000 руб. Assassin's Creed Odyssey + FIFA 19 PS4 ENG1000 руб. FIFA 19+ NFL 19+ Assassin’s Creed Origins Deluxe PS4 ENG1000 руб. FIFA 19+ Assassin's Creed Odyssey+ Battlefield 1 PS4 ENG1000 руб. Red Dead Redemption 2+ Assassin's Creed Odyssey PS4 USA1000 руб. FIFA 19 + Black Flag + Unity + Syndicate PS4 EUR1000 руб. God of War (2018)+ Gran Turismo+ Assassin's pack PS4 EU/ RUS1000 руб. FIFA 19 + Assassin's Creed Origins PS4 EUR1000 руб. FIFA 19 + Assassin's Creed Odyssey PS4 USA1000 руб. FIFA 19 + 4GAMES PS4 USA1000 руб. Redemption 2+ Black Ops 4+ Assassin's Creed Odyssey PS4 ENG1000 руб. Assassins Creed Odyssey+ God of War Digital Deluxe PS4 EU/RU1000 руб. Battlefield™ V + Primal + Games PS4 EUR1000 руб. Red Dead Redemption 2 +Odyssey +Tony Hawk +Tricky T PS4 USA1000 руб. Assassin's Creed® Odyssey+3 TOP GAMES(USA) PS41050 руб. Assassin's Creed® Odyssey+ GAMES PS4 EUR1050 руб. EVEREST + SUPERHOT + Sports Bar +5GAMES PS4 EUR/RUS1099 руб. FIFA 19 + MONSTER HUNTER + Origins + GAME PS4 EUR1100 руб. PS4 Red Dead Redemption 2+Odyssey+God of War+FAR CRY 5 USA1200 руб. Red Dead Redemption 2+ Assassin's Creed Odyssey PS4 EU/RUS1200 руб. Red Dead Redemption 2+Assassins Creed Odyssey GOLD PS4 EU/RU1200 руб. PS4 Assassin's Creed Одиссея, Payback, The Evil Within 2 RU1200 руб. God of War + Red Dead Redemption 2 + 4GAMES PS4 EUR/RUS1200 руб. God of War + RDR 2 + Black Ops 4 + 8GAMES PS4 EUR/RUS1200 руб. Assassin's Creed Odyssey PS4/RUS1200 руб. Battlefield™ V + 3 GAMES |USA| PS41201 руб. Assassin's Creed Одиссея (PS4/RUS) Гарантия1250 руб. П3 - Assassin's Creed III Remastered (PS4/RU) Активация1299 руб. Assassin's Creed Одиссея +PRO EVOLUTION SOCCER 19 PS4 РОССИЯ1299 руб. Battlefield V+Fallout 76+4GAMES+PSPlus PS4 EUR1350 руб. Battlefield™ 1 Revolution+FIFA 18 Rona+5 GAMES (EUR/RUS) PS41399 руб. Assassin's Creed Одиссея + God of War + Изгой PS4 РОССИЯ1399 руб. Red Dead Redemption 2+Odyssey + 8 TOP Games PS4 USA 1400 руб. Black Ops 4 + Odyssey + GAMES PS4 USA1400 руб. Far Cry New Dawn + RDR 2 + Odyssey + PS4 USA1400 руб. Just Cause 4 + Odyssey PS4 USA1400 руб. Red Dead Redemption 2 + Odyssey +theHunter + NFS PS4 RUS/ENG1400 руб. RDR 2 + Odyssey + theHunter + Need for Speed PS4 RUS/ENG1400 руб. Red Dead Redemption 2 + Odyssey + Spyro + ИГРЫ PS4 RUS/ENG1499 руб. Red Dead Redemption+Assassin Creed III+Far Cry 3 Россия PS3 720 600 руб. ASSASSIN'S CREED ROGUE+Battlefield 4+Spyro 3(EU)PS3199 руб. Assassin's Creed Freedom Cry [PS3\RUS] Россия + Гарантии299 руб. Assassin's Creed Freedom Cry PS3 EUR/RUS299 руб. TEKKEN 6 + Assassin's Creed III + Uncharted PS3 RUS350 руб. Assassin’s Creed+Far Cry 3 + Far Cry 3 Blood Dragon PS3 EU350 руб. Assassin's Creed Freedom Cry+CRYSIS 3 [PS3\RUS]399 руб. Assassin's Creed Rogue PS3 EUR399 руб. Assassin's Creed Rogue+Liberation HD(PS3/RUS)399 руб. Assassin's Creed IV Black Flag PS3 RUS РОССИЯ399 руб. Assassin's Creed® IV Black Flag [PS3\RUS]Россия+Гарантии449 руб. Assassin's Creed IV Black Flag+Midnight Club [PS3\RUS] 449 руб. Assassin's Creed Rogue+ Black Flag [PS3\RUS] 599 руб. Assassin's Creed Rogue+Far Cry 4+Battlefield 4(PS3/RUS)599 руб. Assassin's Creed Naval Edition+Double Edition[PS3\EUR]649 руб. AC ROGUE+BLACK FLAG+LAST OF US+DLC [PS3\RUS]699 руб. Assassin’s Creed Rogue + Black Flag + ИГРЫ PS3 RUS/ENG699 руб. AC ROGUE+BLACK FLAG+Batman+DMC+2ИГР [PS3\RUS]749 руб. FIFA 19+Battlefield 4+Assassin's Creed III(PS3/RUS)799 руб. Assassin's Creed® Rogue (RUS) PS3 ПОЛНОСТЬЮ НА РУССКОМ ЯЗЫКЕ1299 руб. PS4 / RUS # Assassin`s Creed: ИСТОКИ # Аренда 7 дней 144 120 руб. PS4 / RUS * Assassin`s Creed ИСТОКИ* Аренда - 14 - дней 358 299 руб. Assassin's Creed IV Black Flag (PS4/RU) (Аренда 7 дней)120 руб. Assassin’s Creed Синдикат (PS4/RU) (Аренда 7 дней)120 руб. Assassin's Creed The Ezio (PS4/RUS) Аренда 7 суток125 руб. Assassin’s Creed Chronicles (PS4/RUS) Аренда 7 суток130 руб. Assassin’s Creed Syndicate (PS4/RUS) Аренда 7 суток135 руб. PS4 / RUS # Assassin`s Creed: ИСТОКИ origins Аренда 7 дней135 руб. Assassin's Creed Истоки (PS4/RU) (Аренда 7 дней)140 руб. Assassin's Creed: Unity (PS4/RU) (Аренда 7 дней)145 руб. Assassin’s Creed Chronicles Трилогия(PS4/RU) (Аренда 7 дней)149 руб. Assassin's Creed Истоки (PS4/RUS) Аренда 7 суток150 руб. Assassin's Creed Unity (PS4/RUS) Аренда 7 суток160 руб. Assassin’s Creed 3 в 1 (PS4/RU) (Аренда 7 дней)199 руб. Assassin’s Creed The Ezio Collection(PS4/RU) (Аренда 7 дней)199 руб. Assassins Creed Одиссея (PS4/RU) (Аренда 7 дней)199 руб. Assassins Creed Одиссея/Odyssey PS4 RUS - Аренда 1 неделя 350 руб.